Food irradiation is the process of exposing food to ionizing radiation to destroy microorganisms, bacteria, viruses, or insects that might be present in the food. Further applications include sprout inhibition, delay of ripening, increase of juice yield, and improvement of re-hydration. Irradiated food does not become radioactive, but in some cases there may be subtle chemical changes. Irradiation is a more general term of the exposure of materials to radiation to achieve a technical goal (in this context "ionizing radiation" is implied). As such it is also used on non-food items, such as medical hardware, plastics, tubes for gas pipelines, hoses for floor heating, shrink-foils for food packaging, automobile parts, wires and cables (isolation), tires, and even gemstones. 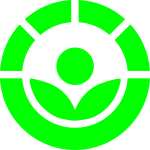 Food irradiation acts by damaging the target organism's DNA beyond its ability to repair. Microorganisms can no longer proliferate and continue their malignant or pathogenic activities. Spoilage-causing microorganisms cannot continue their activities. Insects do not survive, or become incapable of reproduction. Plants cannot continue their natural ripening processes. The energy density per atomic transition of ionizing radiation is very high; it can break apart molecules and induce ionization, which is not achieved by mere heating. This is the reason for both new effects and new concerns. The treatment of solid food by ionizing radiation can provide an effect similar to heat pasteurization of liquids, such as milk. However, the use of the term "cold pasteurization" to describe irradiated foods is controversial, since pasteurization and irradiation are fundamentally different processes.